Three years ago, an r/AskReddit thread posed the following question: “What’s something unconventional everyone should try out?” Among the 7,000 responses was a man with a since-deleted account who relayed the story of a camp counselor telling him about the simple pleasures of eating an orange in the shower, and how it’s something he’s done ever since. Despite the creepiness of a camp counselor uttering the phrase — and I quote — “letting the juices run over your body” to a child, thousands of redditors responded by saying they were going to start eating oranges in the shower, too, while urging others to do the same. 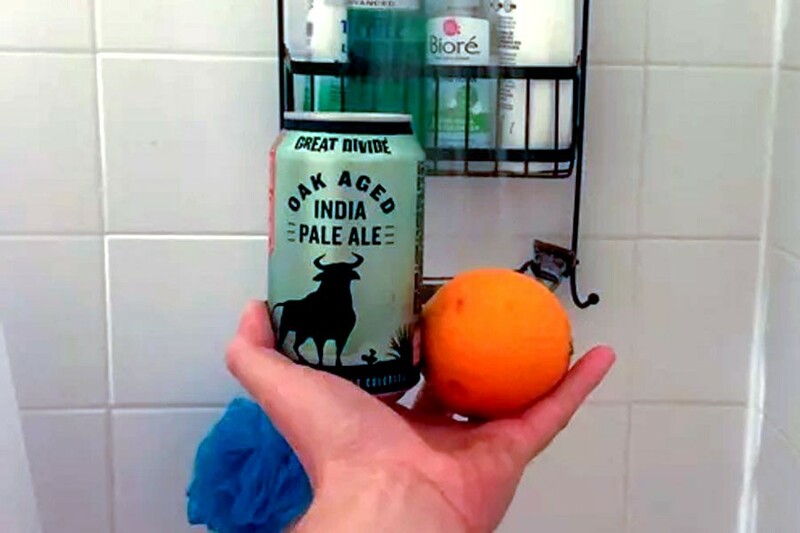 Soon an entire subreddit dedicated to the Shower Orange emerged, with a following that recenty topped 30,000 subscribers and lots of visual evidence of those subscribers “losing their [shower orange] virginity” (i.e., pictures of wet, exhausted orange peels lying at their feet). But again, what exactly is so therapeutic about it? First and foremost, there is some science to explain why people often describe the shower orange as tasting stronger than oranges consumed outside of the bathroom. “The heat makes the orange odors more volatile, and this, merged with the increase in mucosa humidity, makes the orange odor smell more in the mouth,” reasons Johan Lundström at the Monell Chemical Senses Center in Philadelphia explained to NPR last year. Beyond the steam-enhancing flavors, Leila Porter, a professor of anthropology at Northern Illinois University, explains that the taste of fruit in-and-of-itself appeals to our inner primate. “Humans, apes, monkeys and lemurs eat a lot of ripe fruit. For example, two-thirds of the chimpanzee diet is ripe fruit. So eating a delicious, sweet fruit is likely taps into an ancient ‘primal desire’ for sweet food,” she says.